We are one of the West's leading event caterer's. 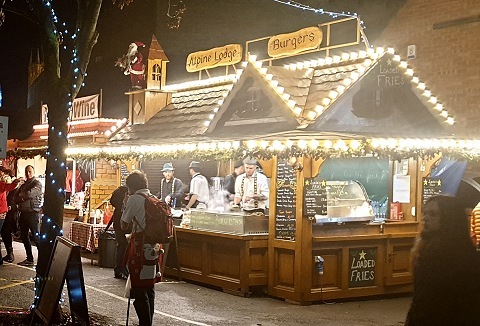 We can provide a variety of catering units to include fish and chips, burgers, freshly baked baguettes, roast pork carvery, pick 'n' mix sweets. Coffee & donut units plus bar facilities also available. 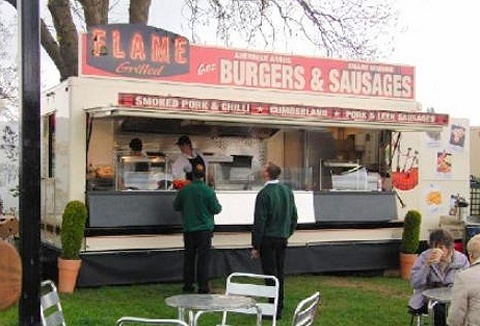 We have been catering at shows and events since 1987 providing top quality food and drinks with a friendly, efficient service. We can offer a variety of menus e.g. traditional fast food (burgers, chips etc), freshly baked baguettes, Mexican food & wraps. 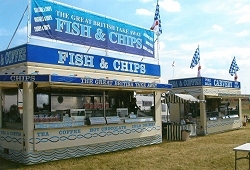 Quality event catering with a modern fleet of various units. Whether your event requires one or over ten units we give each event the same careful attention and the same pre-show planning is given regardless of scale. We can supply a range of units. Ready for the traditional taste of England? Who can resist the nostalgic taste of fresh lightly battered cod, golden haddock, perfect plaice and scrumptious scampi. We use the freshest produce available, bringing you fast food both delectable and natural. We are a long established mobile event caterer providing a tailored and professional catering service for any event or show. 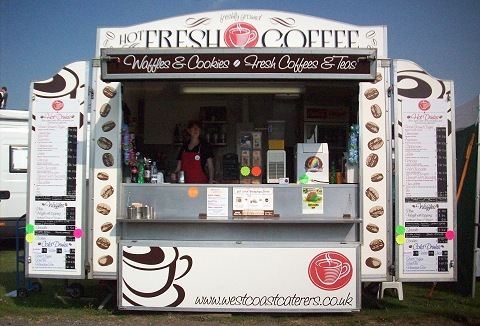 Each mobile catering trailer can be adapted to serve any range of menu, also available Walls ice cream and mobile coffee units. 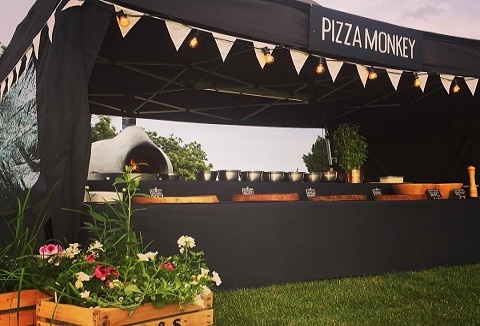 Fancy something a little different at your outdoor event, private party or corporate function; why not try our delicious tasting wood fired pizzas made with locally sourced produce. Our pizzas lock in the natural goodness & flavours for a delicious taste. 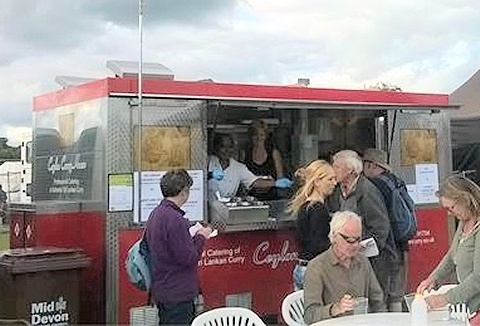 We offer a unique culinary experience from the convenience of a modern, totally silent & self-contained mobile catering trailer. Our delicious choice of curries are available. 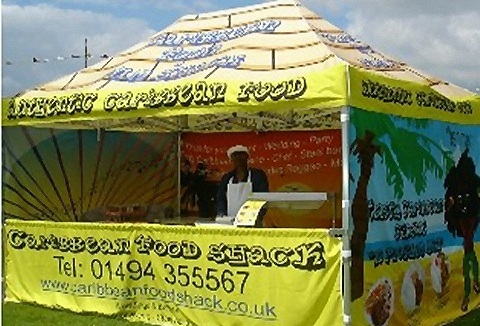 Mobile catering service is also available for private functions & other events. 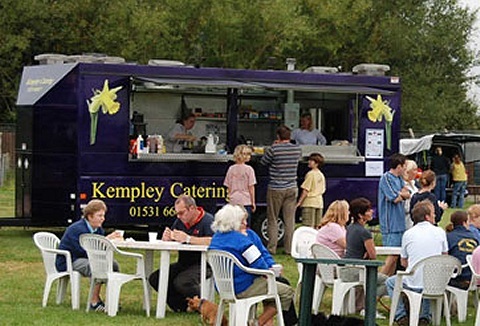 Family run mobile catering company with a fleet of contemporary catering trailers. Our menus range from burgers and hot dogs, fish and chips, hog roast, exotic burgers, noodles and kebabs served in biodegrade packaging. We facilitate any event, any size!